I am not really an audiophile as a lot of my friends I know are. I have however moved up from 128 kbps MP3s to 320 kbps ones feeling that the former doesn’t deliver the clarity I want for a good musical experience. So while I’m not an audiophile, I can certainly appreciate good quality experience. 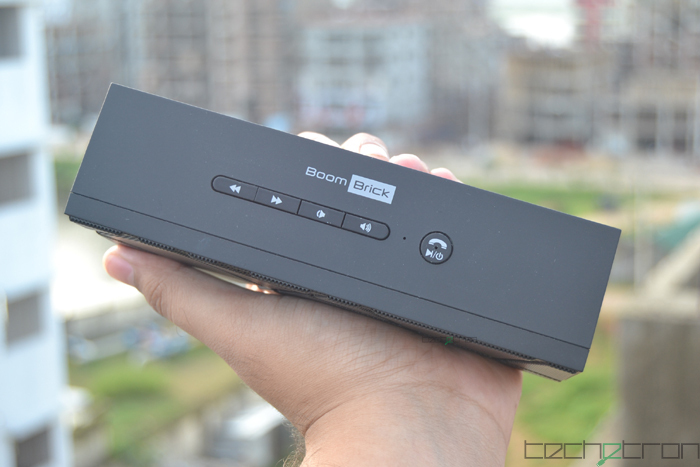 I like the idea of having a Bluetooth Speaker, so I was naturally excited and a little bit curious when I unboxed the BoomBrick. 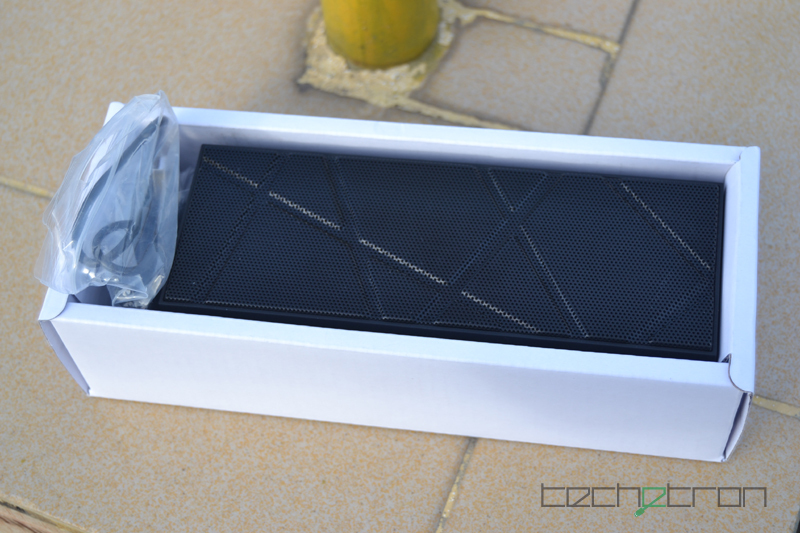 Its packaging is fairly simple – the device comes in a vertical box, almost the same size as the brick itself. It opens from the top (or bottom, depending on how chaotic you want to be) and an inner box without a top slides out. It’s nestled snugly next to the two sets of cables – a micro USB for charging and a 3.5mm cord for auxiliary input. 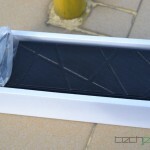 My first impression of the BoomBrick was pretty positive. I liked the simplistic design. It’s a basic rectangle shape with the buttons and the logo at the top. The speakers at the front have crisscrossed ridge, and while this doesn’t do much for me it definitely helps to keep monotony away from the design, so it is a nice touch. There are five buttons at the top. Next to each other are the primary four you will most likely be using the most – Previous, Next, Volume down and Volume up. Next to these is the Power On button. The buttons are neatly placed at the center and feels very tactile, which is a plus. At the back is the micro USB slot for charging and a 3.5mm port. Installing the device was fairly simple. You press the power button and it’ll make a sound to notify that it is on, indicated by a blue flashing light at the center of the button. After that it’s a simple matter of connecting through your desired devices. I am running Windows 8 where going to the Bluetooth settings page takes you to a list of devices within range. You will find Boom Brick on the list, simply click pair/connect and voila. This is where there is a little hiccup though I’m fairly certain this is only for Windows 8. 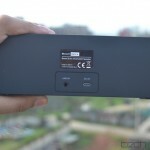 Once you’ve connected to the device, you will need to change the default playback device to the Boom Brick. Right click on the speaker icon in the notification tray, click playback devices and you will see the list of available devices you can use. The default will obviously be what you already have. You will have two new options – Headets and Headphones, both of which are Boom Brick’s. Strange. Why two? I haven’t figured it out. BUT. Don’t select headset. For some reason that provides really muffled, quiet and very noisy sounds. I was instantly put off by it and thought how poor a product it was. But I was curious about it – why would it be so bad? I decided to switch to the “Headphones” playback device and the sound instantly changed. It was how what it should be – loud and clear. With the sound issue cleared up, I tested the buttons and they were naturally functional. There seems to be an automatic cross-fade when you’re moving from one song to the next using the buttons though. I’m sure a lot of people like cross-fades but I’m personally not a fan, and I don’t think there’s any way to actually change specific settings like that. It’s not really big deal unless you’re super nitpicky. I next discovered that there are bigger issues to using the device on a Windows Platform. If you turn it off once, or somehow get out of range, which spans to about 10-15 feet, it seems impossible to connect it again without restarting the computer. This was a huge no-no for me. I’m not sure if it is this speaker specific but most Bluetooth devices it proved rather frustrating. So if you’re connecting to your computer, be prepared to not turn it off or go out of range, and you should be fine. This is less of an issue on my android device though. I decided to check if the same hiccup existed with my Nexus 4. I paired the Bluetooth speaker and played some songs. I turned off the Bluetooth on my phone, and the disconnection was almost instant. I turned it on again and within seconds I was connected to the Boom Brick once more (also indicated by a little tune on the device). You have to press play again to start the music. I tried it the other way. I turned off the device and turned it on and as I expected, my phone detected it and connected with it within mere seconds. I found this very convenient. From these experiences I’m more like to use it with my phone than with my computer. I’m still continuing to have issues to reconnecting to it even now. I wish there was an easy way to figure how much charge is left on the Boom Brick but I’ve been playing it for almost two hours now straight out of the box and there’s no sign of it dying (though I imagine the it would die quickly when the time came). 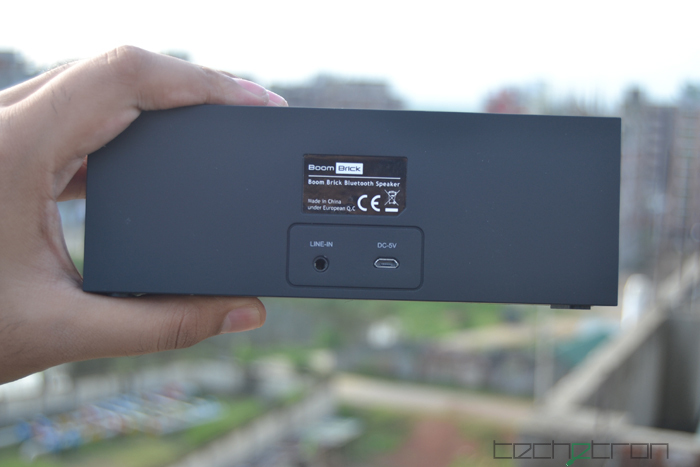 The Boom Brick is advertised as having 8 hours of battery life and I wouldn’t be surprised as it the device comes equipped with a 1200mAh Li-ion battery that takes about 3 hours to charge completely. I was surprised to see that it also serves to make calls. I imagine that this would be handy when you need to put someone on speaker phones though I can’t see myself using this feature a whole lot. What I do see myself doing with it is using it more or less exclusively with my phone. I can log on to Spotify through my phone and then play on the Boom Brick, which is exactly what I’m doing right now. Despite the few hiccups I faced using it on the Windows 8, I’m beginning to grow rather attached to it. 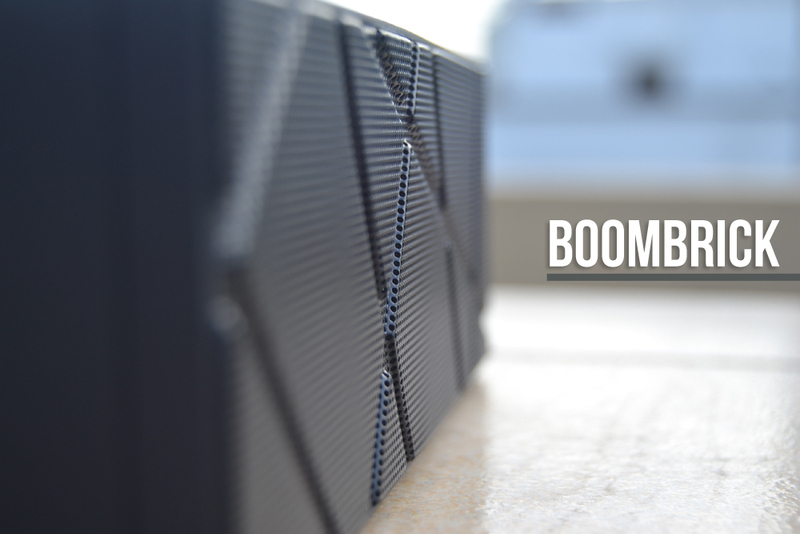 The Boom Brick is a very sturdy device, seems really well built with a good solid weight. It’s not too heavy so if you wanted to carry it around it wouldn’t be an issue. All in all, the Boom Brick seems like a solid device to have and would definitely be something that you can find a lot of use for. 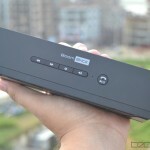 Want to find out more bluetooth speakers similar to the one reviewed? Hop in to Mobilefun.com to see a range or products.